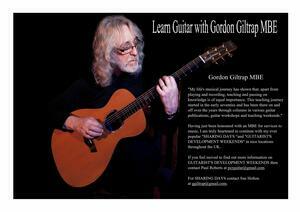 "Anyone who asks me knows, that I think that Gordon Giltrap is one of the best acoustic guitar players in the world. 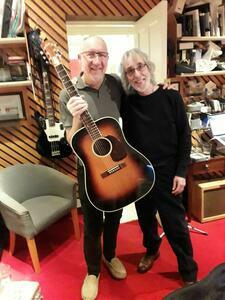 He gave me lots of hints on how to approach the acoustic guitar as opposed to the electric guitar. He was always way ahead of his time. His concerts and playing are breathtaking. He's also very witty, and I love the fact that he has not cut his hair!" To all my dear friends here and abroad. I feel very honoured to be the recipient of an MBE in 2019. The response has been very heartfelt and touching. All sincere thanks must go to our dear friend Carrie Martin for working tirelessly (and of course unbeknown to me) to help make this happen. Nothing can alter the heartbreak us as a family has had to endure this year, but this honour has helped to heal the wounds and enable us to move forward in a positive way for the coming year. Love and thanks to you all and a happy New Year. From 2017 I've been holding what I call "Sharing Days" and I'm delighted to welcome old friends and new to what hopefully will be a fun and informative day sharing my thoughts with you, once again at the charming Castle Park Arts Centre, Frodsham, Cheshire. This will be another return visit for me and one I'm looking forward to very much. My chosen piece for the day is A Christmas Carol. Tab for the chosen piece will be emailed to you when you sign up. The plan is to accommodate between 10 and 12 players who want to spend the day sharing all aspects of my music, my technique, composition, my advice on guitars, open tunings, nail care (yes even nail care) equipment, in fact as much information as I'm able to impart on the day. This will be aimed at mainly acoustic players but all players, electric or acoustic are welcome. 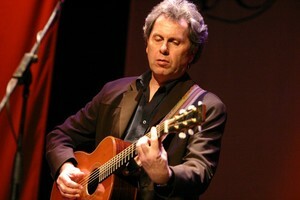 My special guest for the afternoon is that outstanding guitarist/teacher/ composer Martin Pleass. I'm hoping he will be bringing that amazing Ralph Bown harp guitar along and demonstrate his skills on this monster of an instrument. Martin also has some impressive connections with world famous legends and I look forward to hearing about them on the day! At times there may be other people to assist in any way they can. I really look forward to them as they are a fun INFORMAL gathering of players who like me love this instrument of ours. The fee is £100 for the day. The evening will see me perform an intimate concert in the upstairs gallery. The seating is limited so those who just want to attend the concert should book early. Those attending the workshop will have free admission to the evening concert. 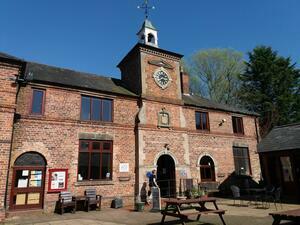 Please get in touch for more details about Sharing Days and Weekends or go on the mailing list for future events. E-mail Sue Holton for more information. HEARTSONGS was created and developed over several months as a fund raising album for the Birmingham Hospitals charity. Although the album is essentially a re-release of ‘Shining Morn’ it has extra tracks that weren't on there before. More details on the background to this release can be found HERE along with the track listing. As I say in the sleeve notes that this album is my way of saying 'THANKYOU' and in my own small way trying to give something back. That’s why for me this whole project is quite emotionally and spiritually charged and it truly means so much to me. 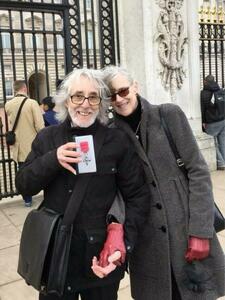 GORDON GILTRAP & PAUL WARD “The Last of England” now available on vinyl ! 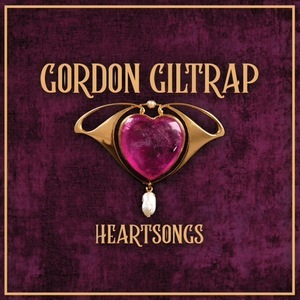 A vinyl limited edition release of this wonderful collection of tunes from the legendary guitar player, Gordon Giltrap. Gordon collaborated with Paul Ward, keyboard player and music producer to create this album partly inspired by the artwork from the pre-Raphaelite era. The title track also comes from the famous Ford Maddox Brown painting used on the cover. Gordon embarked on this project to celebrate his return to health after a major operation in 2016 and considers it as perhaps his best album yet. Keyboard player Paul’s wealth of experience includes working with David Jason and Martin Kemp amongst others. The album is inspired by all the music Gordon has loved during his 40 year career. It is a truly heart-warming LP. 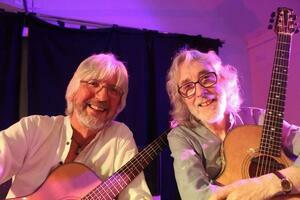 To celebrate its release, Psychotron Records hosted a Gordon Giltrap / Paul Ward concert at The Guildhall, Lichfield. Previously released on CD (Angel Air) in January 2017, the album has received great reviews already. Losing a couple of tracks to translate onto vinyl was a difficult decision, but it is more than compensated for hearing the sound on vinyl pressing and owning a beautiful LP which shows off the painting that inspired some of the music in a semi laminated luxury gatefold sleeve. Comes on gorgeous deep orange vinyl; first 100 copies with a signed poster, 150 copies with unsigned poster and 250 standard copies. Gordon’s latest Signature guitar, the Fret-King ‘GG’ (FKV3HGG £999 UK rrp) has just started to hit the stores in the UK and the Vintage Roger Williams Nylon Electro Acoustic Model (VE9000RW £599 UK rrp) - based on an original design by the celebrated luthier and also endorsed by Gordon (“A stunning sounding guitar acoustically, and with a great Fishman INK+ preamp and pickup system too!”) will be available in mid-October 2016. 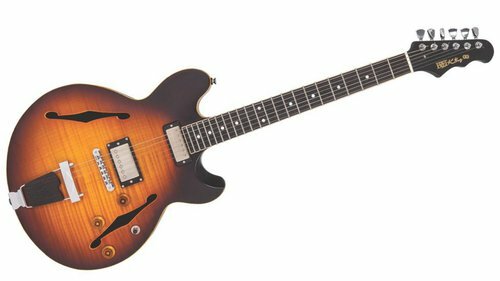 Vintage & Fret-King Guitars are distributed Worldwide by JHS & Co. Ltd.
Great news folks. The notation and tablature for many of my pieces are available to order as a download from my friend Steve Marsh's website. My ambition is to get virtually everything of worth that I have ever composed in music and TAB form up and running on Steve's website, and believe me there are a lot of pieces on there. Thus far there are around 70 titles ready and waiting for all you keen pickers who want to have a go at some of these tunes of mine. All titles on this list come in a PDF format which includes both musical notation and Tablature. Each PDF costs £4.50. There is also a new page in the Discography section which lists the tracks - these are just a taster of things to come, this is just the tip of the iceberg so check back regularly. During his 40 year career, Gordon Giltrap has played in pretty much every kind of venue in the UK from the grandeur of Birmingham's Symphony Hall to tiny, out of the way village halls. He enjoys performing in all types of venues and particularly loves the challenge that the smaller venues present where the front rows of the audience are 'up close and intimate'. Afterwards, people get to interact with someone they would probably never get to meet in such an intimate setting. Photos are taken, memories shared, CD's autographed, and often lifelong friends are made. Gordon loves it because he gets to meet people who, in many cases, have been listening to his music for years, coming to see him in large venues like theatres, always having to see him from "out in the audience," and only getting to interact with him on a personal level for a couple of minutes after the show. The private concert puts the power back into the hands of the individual fans. Now, you get to choose the venue and the artist comes to you. You can even get your friends and family to club together to pay for a booking - it could be the perfect solution of what to give the person who has everything! Private concerts are the future of intimate performances. It has been my pleasure and privilege to be a patron of the Tracy Sollis Leukaemia Trust for twenty years now, and over that time the charity has raised a small fortune being put to outstanding benefits to patients afflicted with this terrible cancer. Every year I do a fundraising concert, usually over the Easter period at The Fleece in Bretforton just outside Evesham in a medieval 500 year old barn. Each year Hilary and I look forward very much to this small but special event to celebrate the life of this remarkable young girl whose life was so tragically cut short. 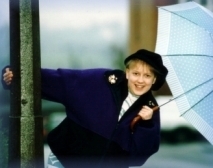 On our new Charity Page you will find information about the charity and how you can help further the work of Tracy's mother Sue Sollis who has raised literally thousands from her unstinting downright hard work. She should be on the honours list for the work she has done to help find a cure for Leukaemia and also to raise money to buy equipment for her local hospital. A truly great human being. Read the News Update pages for extra details on these items and more. You will read it first here on the website, but make sure you don't miss anything by signing up for Gordon's email newsletter "Airwaves" Click the link in the column to your right.